What if the Haunted Mansions had a baby and I used to live in it? I just realized something I can't believe I never noticed before. 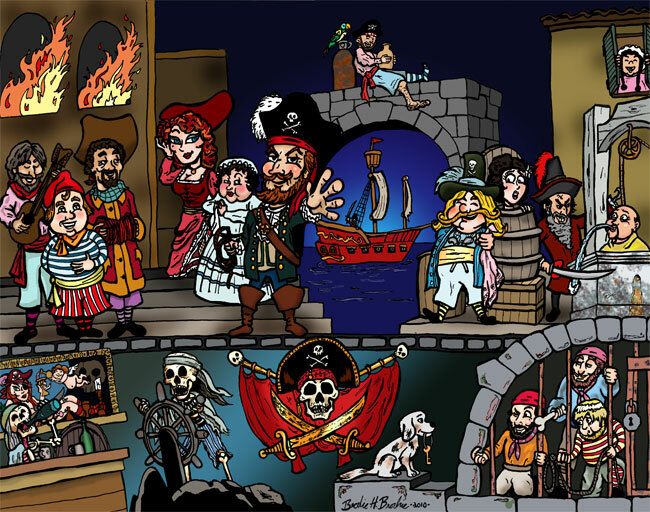 I wonder if anyone has ever done a double bill of "Hello Dolly" and "Bye Bye Birdie"
Disney attraction portrait series #5: Pirates of the Carribbean Set sail with the wildest crew who ever sacked the Spanish Main! 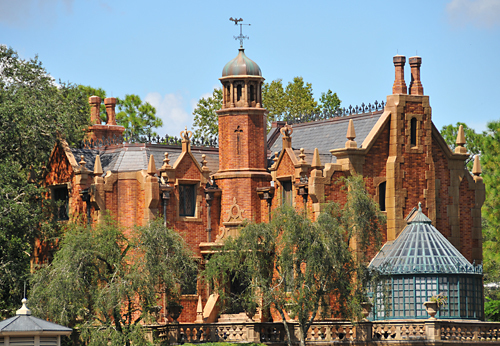 The Haunted Mansion may be first in my heart, but Pirates was the groundbreaking masterpiece that really took Disneyland's attractions to the next level of greatness. Taking you through the blue bayou, deep into skelton-filled caves, and then back in time to the era of the pirates, this dark ride was more elaborate and immersive than anything that had ever come before and darn few things that have come since. There have been changes over the years, a little desexualization here, a little intrusion of movie elements there, but all in all it has retained the spirit and impact that it had at its 1967. I knew such a thing as customized Lego people (or minifigs as it turns out) existed, but I started to wonder what else was out there? Answer: LOTS. For your viewing enjoyment, here are a few of my favorites currently up on eBay. There are, of course, a ton of custom versions of super-heroes, but this mini mighty Thor stood out to me as one of the better ones. There are plenty of comic book villains around too, but who would've expected Z-List Batman pest/joke Killer Moth to show up? Very menacing costume, KM. YES. Now we're talking. It's Lego Lincoln, the great emancipator. I hope no one builds a little Lego Ford's Theater and lures him in. Sorry, I went dark there for a minute. Instead, let's try to think of the most harmless thing possible for our next minifig. OH NO, IT'S MR. STAY-PUFT! Nobody steps on a Lego church in my town! It's the friends of Dorothy in the Merry Old Land of Oz! Old Ruby shoes herself with the Tin Man, Scarecrow, (disco) Lion, and even Toto, her loyal cat. Waitaminute. Naked Legos beware: Lego Jason will Lego kill you. In a way, this is one of my favorite ones, because I suspect this customizer didn't even need to do any alterations or re-painting, just some clever re-arrainging of existing pieces to make a perfect Lego Lone Ranger. Incidently, doesn't it seem kind of weird that they called him the "Lone" Ranger when his best friend was ALWAYS with him? I mean, I know he was the only "Ranger" around, but he still wasn't exactly "lone." Kind of odd. LEGO. BEATLES. ABBEY. ROAD. Wow. And so what began as an idle distraction may turn out to lead to an actual purchase.